AMETEK Process Instruments, a leader in on-line analytical instrumentation, offers powder manufacturers across a variety of industries a system for continuous, real-time monitoring and control of the powder drying process, whether it is aqueous- or solvent-based. For years, drug manufacturers have relied on AMETEK ProMaxion mass spectrometers to monitor their pharmaceutical solvent drying processes. 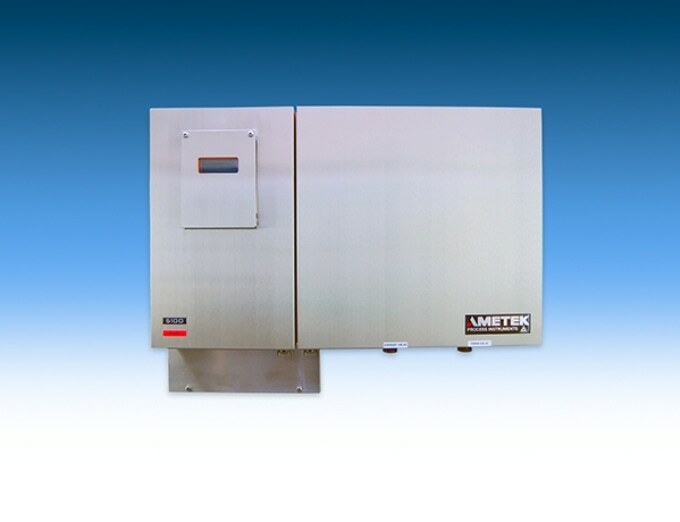 Better suited for aqueous-based systems is AMETEK’s 5100 analyzer, which utilizes advanced tunable diode laser absorption spectroscopic technology to quickly and accurately measure water vapor concentrations during the drying process. Manufacturers across industries currently rely on a combination of approaches involving heat, pressure and vacuum to remove water and solvents from their products. The most-common methods require that the process be stopped and a sample removed for Loss of Drying (LOD) or Gas Chromatography (GC) analysis. This time-consuming process must be repeated until the LOD achieves a predetermined value. On-line, real-time detection avoids the need to stop, analyze and then restart the drying process. Large-scale drying operations involving thousands of pounds of product can take upwards of 24 hours or more to complete. The repeated interruption of that process to accommodate manual analysis can add hours. In addition, many of the solvents used are flammable or pose other hazards, so there are added risks to manual analysis as well. AMETEK’s on-line, real-time solution affords manufacturers the ability to pinpoint, without operator intervention, the exact moment when a product has dried as much as possible. It works by monitoring moisture and solvent vapors in the dryer exhaust line. The amount measured is directly proportional to the amount remaining in the product. In addition, data from the ProMaxion and 5100 can be used to better understand the drying process. Common off-line tests measure only the final LOD and provide little detail about internal processes. The ProMaxion and 5100 not only provide the data needed to confirm dryness at the end point but can be used to control all aspects of the drying cycle from product entry to removal. AMETEK is experienced in designing complete systems with the ability to automatically control single or multiple dryers. The ProMaxion has multiple sample inlets, so a single unit can monitor multiple dryers, with each assigned its own individual configuration. The analyzer comes packaged in an explosion-proof housing and is certified Class I, Div. 1 for hazardous environments. The laser-based 5100 has a moisture detection limit in the ppm range. It features compact, fully enclosed optics and sample conditioning, on-board moisture verification and all digital signal processing. The rugged, compact unit is available in an IP-65 and NEMA 4 enclosure with both Modbus and Ethernet analog and digital connectivity. The ProMaxion draws on AMETEK’s more than 30 years of experience in mass spectrometer design and manufacture and the 5100 more than 40 years of experience in the design and development of sophisticated process analyzers. AMETEK offers the industry’s most extensive product line, offering analyzers based upon eleven differentiated technology platforms.